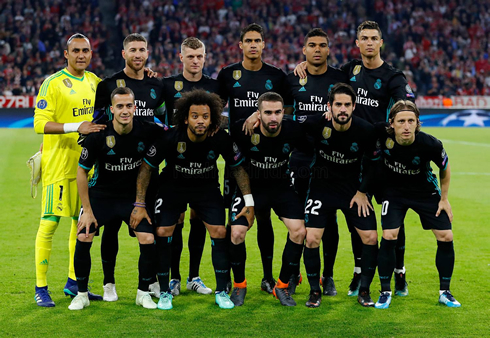 Real Madrid are in good position to defend their Champions League title, as tonight they beat Bayern Munich by 2-1 at the Allianz Arena, in the the semi-finals first leg. The Germans scored first, but the Merengues reacted well and turned things around with goals from Marcelo and Asensio. In a match very similar to last season, Real Madrid were able to come from behind to take a 2-1 victory back to the Bernabéu, after tonight's match in Germany against Bayern Munich. 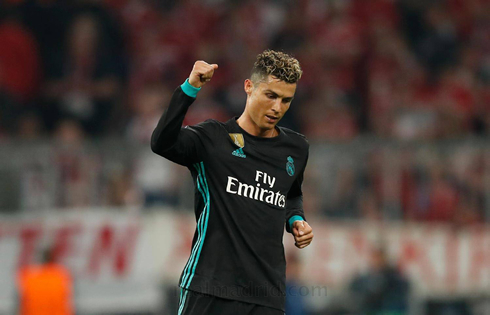 For the first time in the season, Cristiano Ronaldo couldn't deliver any goal in a Champions League fixture, but saw his teammates Marcelo and Marco Asensio sticking the dagger to Bayern and securing an important result for the second leg next week at the Bernabéu. Can Real Madrid hold on to this narrow lead next Tuesday and defend their title in Kiev on May 26? It was a tense and nervy affair and both teams have become quite familiar with each other over the years. Real Madrid have now bested Bayern 6 times in a row, but they certainly found themselves under pressure quite a bit today. And this is where the experience came into play, despite Bayern's countless chances, Madrid's players looked like they had been there before and acted accordingly. Bayern succumbed to a series of injuries during the match that severely hampered their ability to adjust as the match went on. Zidane started the match with Vasquez and Isco flanking Ronaldo, hoping to pack the midfield and prevent Bayern from creating chances. This left Ronaldo isolated up top by himself, a role he doesn't enjoy and certainly struggles with in general. But for the lineup today, it worked quite well. Real Madrid will certainly be happy with the result, however, after Joshua Kimmich's opening goal, a strike that confused Keylor Navas, it seemed as if Bayern were on the cusp of scoring a second at any moment. But alas Marcelo was able to capitalize before halftime with a well-struck volley into the corner of the net. As the Bayern defenders looked on almost expecting Ronaldo to hit another bicycle kick into the top corner of the net, Marcelo positioned himself well and buried it into the back of the net. A crucial goal at a crucial time and Madrid were looking good with the away goal. Zidane made a change at the half bringing on Asensio for Isco, in order to give the team some more width and it paid off brilliantly. A mistake from Rafinha allowed Asensio and his favorite partner in crime Lucas Vasquez to break and when he returned the favor to Asensio, it was time for him to shine. A well placed shot into the corner of the net and it was 2-1 to Madrid, the same score as last season. Bayern kept attacking but were foiled by some poor finishing and some good goalkeeping from Keylor Navas. 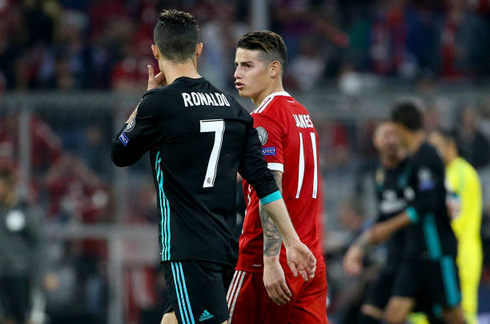 In the end, it certainly wasn't pretty but Madrid will be taking an excellent result back home as Bayern Munich must now score two to advance. Cristiano Ronaldo next game for Real Madrid is on April 28 of 2018 against Leganés. You can watch Juventus live stream, Real Madrid vs Leganés, Newcastle vs WBA, Liverpool vs Stoke City, Arsenal vs Atletico Madrid, and Marseille vs Red Bull Salzburg, all matches provided from our live football game pages.